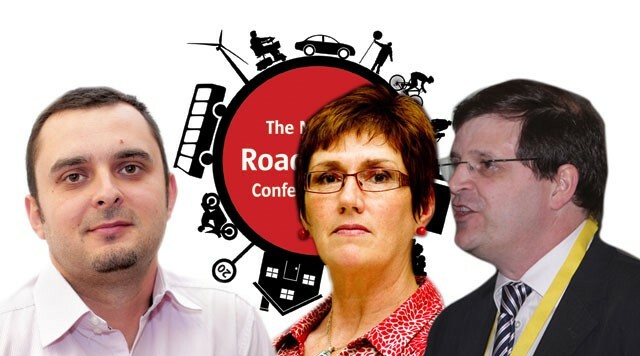 The closing session at the 2016 National Road Safety Conference will include two presentations focusing on vulnerable road users – pre-school children and cyclists. Honor Byford and Ian Edwards will present an analysis and evaluation of the North Yorkshire Walk-Wise project, while Dr George Ursachi from Road Safety Analysis (RSA) will present the ‘Safety in Numbers’ study which takes an alternative look at cycling casualty data. Walk-Wise – developed by eDriving Solutions on behalf of North Yorkshire County Council and the 95 Alive Road Safety Partnership – aims to improve the road safety knowledge of pre-school children between three and four years of age. Walk-Wise includes an app aimed at young children and the use of social media aimed at their parents. The presentation will explain how the project was based on psychological theory (social learning theory) and the systematic approach taken to evaluation. It will highlight that approaches used in this project can easily be transferred to other road safety interventions. The double-header presentation will be delivered by Honor Byford, who is chair of Road Safety GB as well as North Yorkshire’s road safety team leader, and Ian Edwards from eDriving Solutions. Both presenters have more than 20 years’ road safety experience. Through the ‘Safety in Numbers’ project, RSA is seeking to create a robust model to review the effect of increasing the number of people cycling on casualty figures. This presentation will first analyse international results before looking at the problems associated with measuring risk using ‘count-based data’. It will explain how RSA sourced robust data about cyclists’ populations within local authority districts in England, and consider what this means for authorities who wish to both increase cycling numbers, while at the same time reducing casualties. Dr George Ursachi has been involved in ‘Safety in Numbers’ since joining RSA in 2015. A former academic associate professor, Dr Ursachi has a strong background in markets’ analysis, research, strategies, marketing management and project management. The 2016 National Road Safety Conference is being hosted by Road Safety GB South West Region in Bristol on 15-16 November and is co-sponsored by Colas, Jenoptik Traffic Solutions UK and Insure The Box. More than 240 people have already registered to attend the event and 18 companies will participate in the exhibition which runs alongside the conference. In addition to the closing ’round-up’ session, the conference includes sessions focusing on public health and road safety, psychology and social marketing, social media and engagement. Click here to register to attend the conference; click here for more information about exhibiting alongside the conference; or for more information contact Sally Bartrum (delegate registration and exhibition) or Nick Rawlings (speakers and agenda) on 01379 650112.